Prior to a career in law, Isabelle obtained a BA (Honours) degree in Personnel Management from the University of Plymouth in the UK. She undertook legal studies at the College of Law in England and completed her training at a London based law firm. Isabelle was admitted to practice as a solicitor in the Supreme Court of England and Wales in 2007. Isabelle specialised in employment law in the UK. She advised and represented businesses, a London Borough Council and directors and employees in relation to all aspects of employment law. 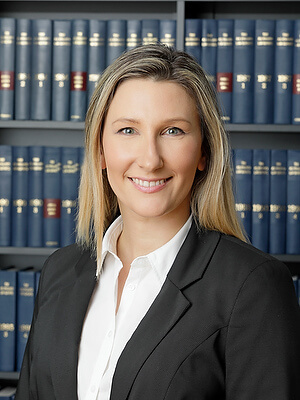 Isabelle has provided legal advice to clients on issues relating to business strategy. She has drafted policies, contracts and other legal documentation. Isabelle has advised and represented clients in a range of matters from breach of contract, restraint of trade, unfair dismissal, redundancy, negotiation and consultation to issues that arise on transfer of a business. Isabelle is currently in the process of requalifying to be admitted in the Supreme Court of Western Australia. At Civic Legal, Isabelle undertakes research and helps develop the intellectual property which underpins Civic Legal's client support programmes. "I always value the knowledge and insight that a client brings."